Positioning needs not only vary from child to child but often change over time for each child as well. Whether it is used with several children in a classroom or clinic setting, or for the same child through growth and development, the TherAdapt® Transition Chair changes with the need. It is available in two sizes, Early Childhood and Secondary. This multifunctional, multipurpose chair is easy to set up, easy to adjust, and easy to use in the classroom, clinic, or at home. The chair’s adjustable seat height can be positioned lower for the user to sit with the feet on the ground, encouraging independent transfers between sitting and standing, or raised higher with the adjustable height footrest attached for use at a table or desk. The Transition Chair comes complete with a slotted, adjustable height, depth, and angle seat and back, which allows the seat up to 30° of recline. 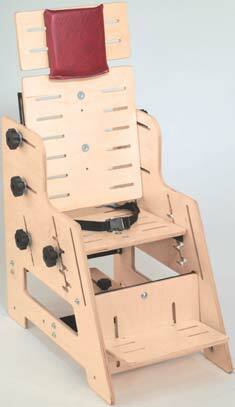 Also standard are a slotted, adjustable height and angle footrest with calf board and pelvic positioning belt. 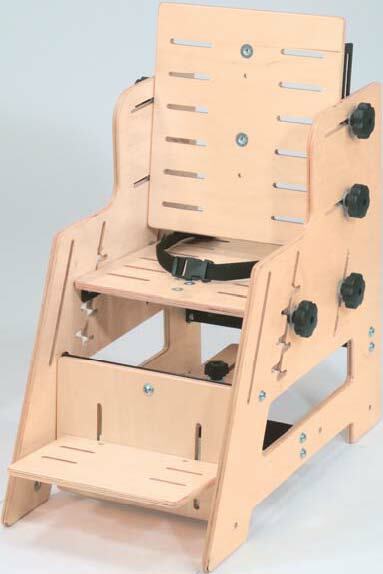 The cost effective Tilt in Space Kit, designed for moderately to severely involved users, includes the Transition Chair, Armrests, a Headrest, a Support Kit (including Foot Sandals, a Seat and Back Pad Set, and four Support Blocks), the Mobile Tilt Base, and a Wood Tray. 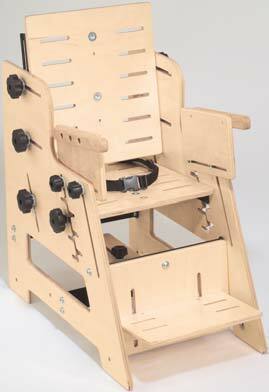 Additional items may be necessary to customize the chair for the individual user, see the Accessories tab for details. 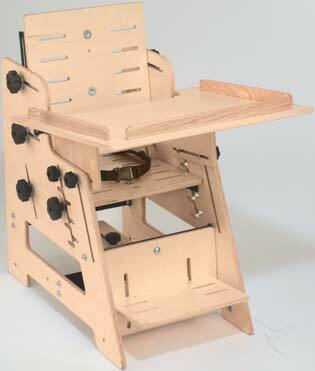 Note: For more involved users an optional Mobile Tilt Base is available which allows the chair to be oriented up to 30° back in space. User weight limit: 100 lbs. 150 lbs. 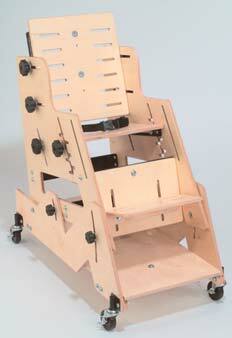 *Note: Seat width reduction is achieved by the use of Support Blocks.